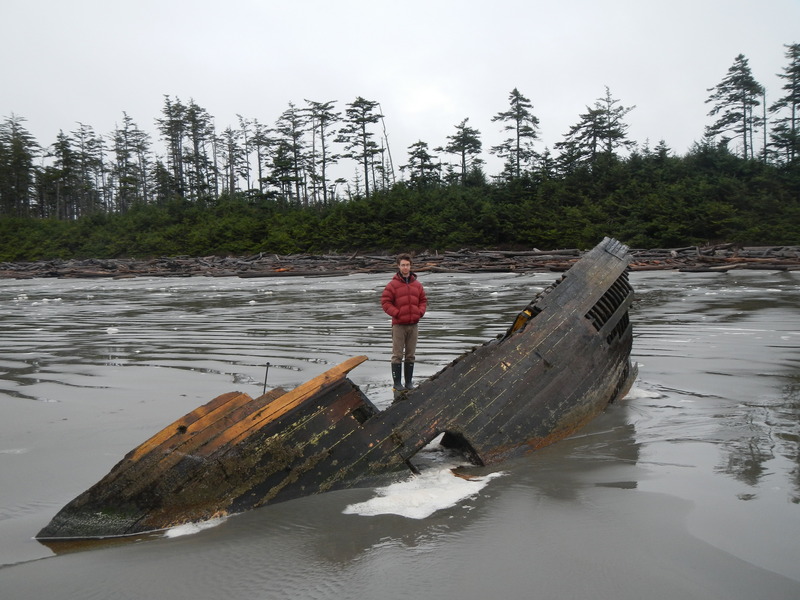 While out near Tow Hill scouting surf a little while ago, Clark and I visited another shipwreck. 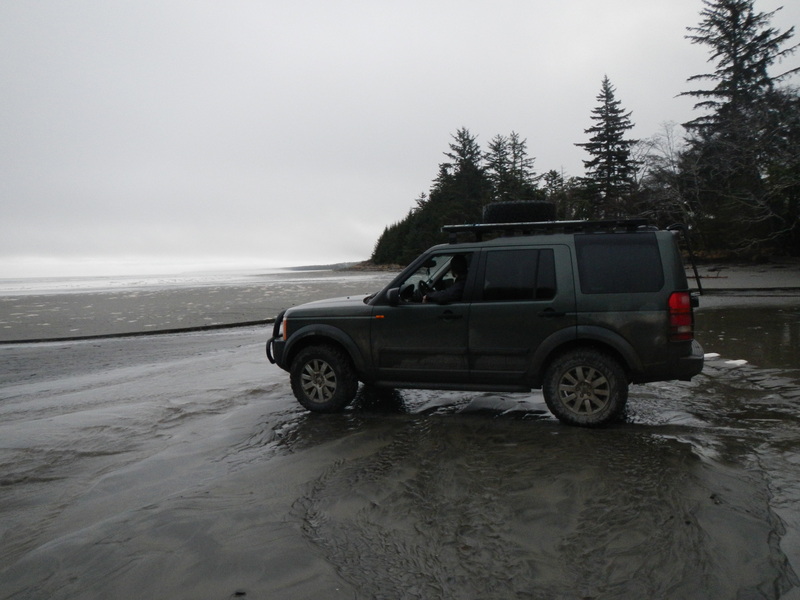 We drove his ballin’ Land Rover down the beach. The dial on the center console was set so as to optimize the four wheel differential for driving on a sandy substrate. Yup, it was gnarly. 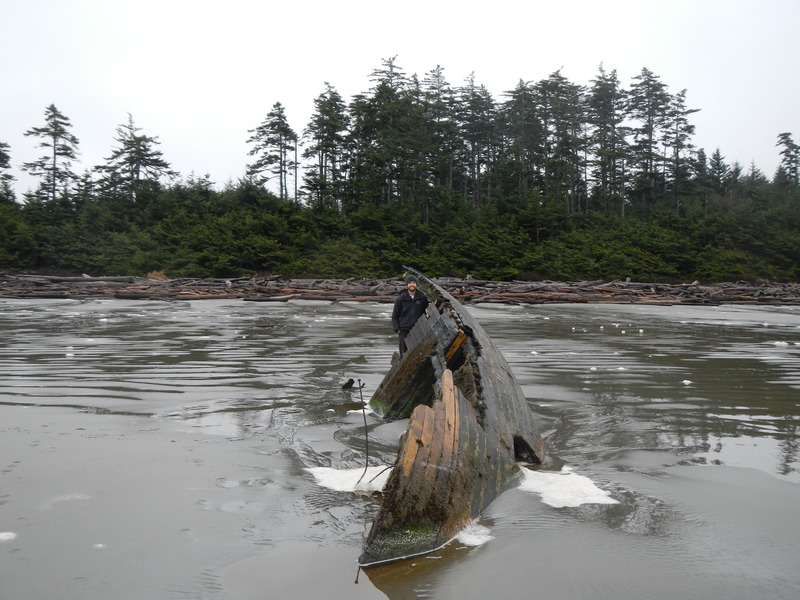 The ship came gently ashore in 1994. The wreck is not on any of the maps; I heard about it from one of the locals. 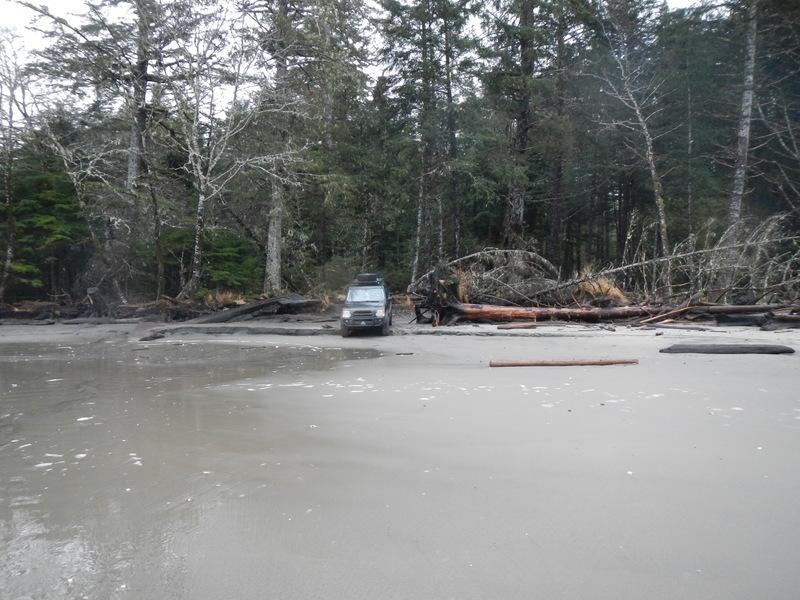 It is about 3 km out along North beach. Apparently Susan Musgrave salvaged some of the wood for use in her home. 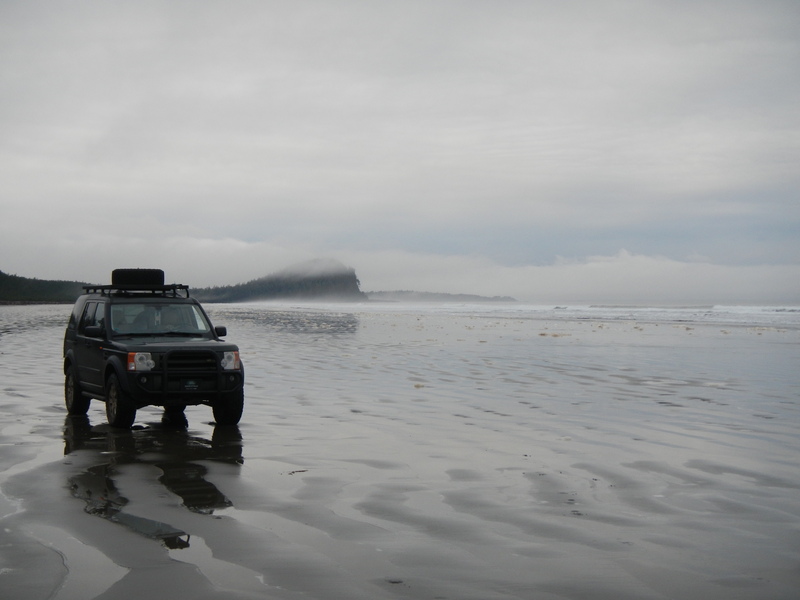 This entry was posted in Haida Gwaii and tagged Clark, Kelly Ruth, Land Rover, Naikoon, shipwreck. Bookmark the permalink.